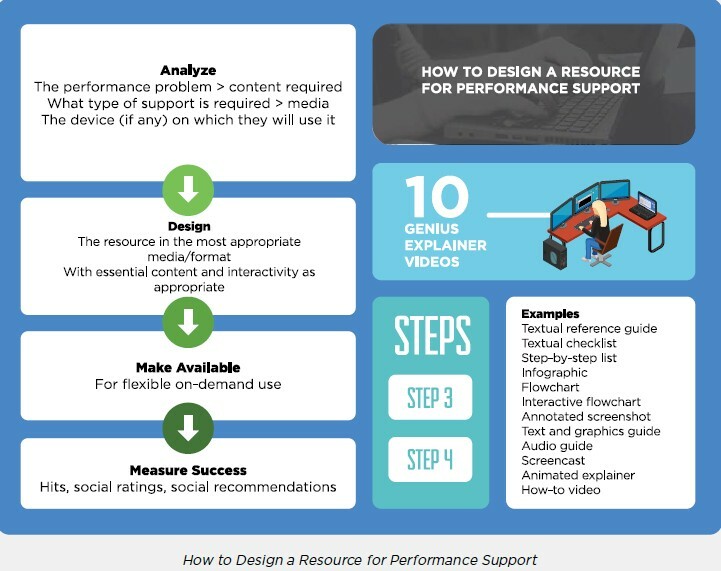 Trivantis® had the pleasure of hosting Jane Hart for a webinar, titled “Beyond Instructional Design: How Performance Support Is Revolutionizing eLearning.” The content of this eBook below is adapted from that webinar and Jane’s expert insights on performance support. Modern learners want more out of their training programs. 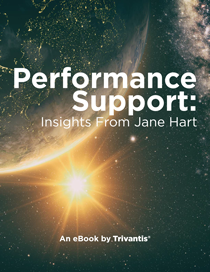 In this eBook, you’ll learn how to move beyond instructional design to performance management, based on Jane Hart’s insight shared in a recent Trivantis webinar. Rather than accessing a package of eLearning courses, as we often push down to people in the corporate world, people prefer to pick out things as and when they need them. They’re moving away from the push down, packaged up approach and toward the on-demand pull approach. Today, learning is focused on performance—getting a job done. Learners want performance support, not formal training. Performance Support: Insights From Jane Hart will inform you on how to make the switch from traditional instructional design to performance support. Trends in modern authoring and learning habits? Jane Hart, Founder of the Centre for Learning & Performance Technologies, shared her knowledge with us for this eBook. She is widely recognized as an expert on performance support and modern learning. 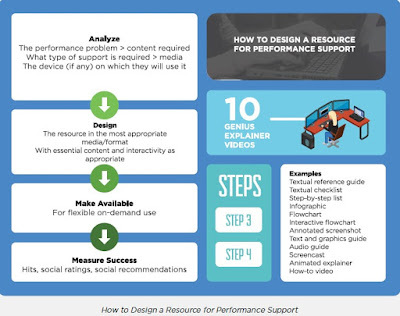 Here’s a visual review—created by Jane Hart and Trivantis—covering the key points on performance support in this eBook.